In Nepal, there is so much to get done that instead of waiting on “somebody” to do it, everybody could start doing their bit. With this philosophy, the board at IMS decided to initiate process to encourage a positive impact through its actions on the environment, customers, employees, and society. 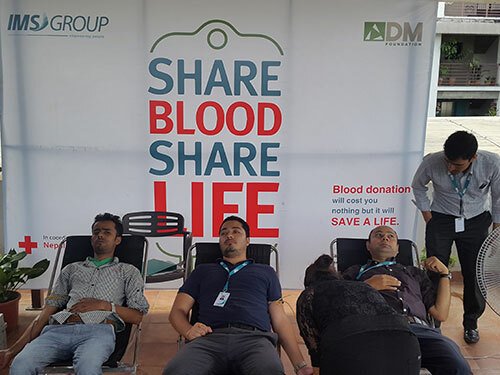 Moving on from an ad-hoc CSR approach to a more structured one for a greater and lasting impact, DM Foundation was established. 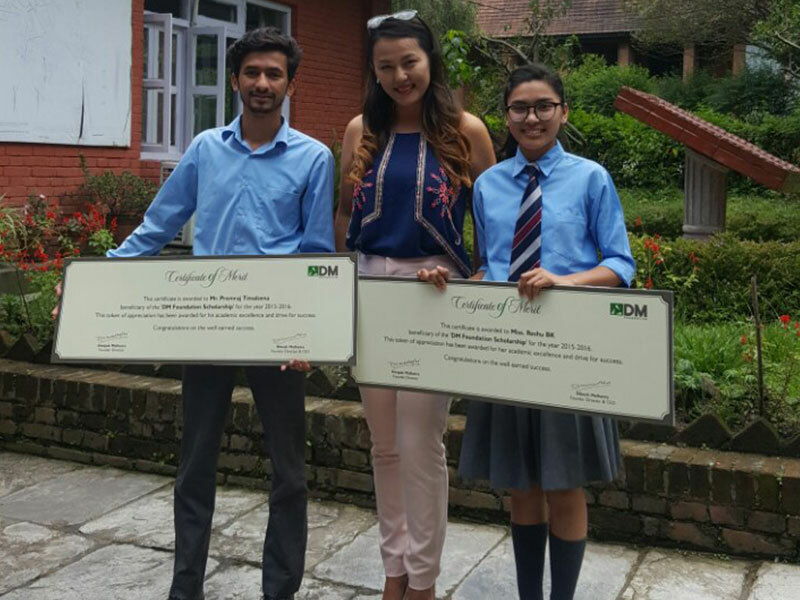 D and M are the initials of our Chairman Deepak Malhotra, his father Late. Devraj Malhotra and President and CEO Dikesh Malhotra. Giving their personal name to the Foundation was a decision taken so they could view the causes as part of their personal problems. Subsequently, taking initiatives that were closest to their hearts. The Foundation today is headed by our Director, Mrs. Zenisha Dikesh Malhotra. 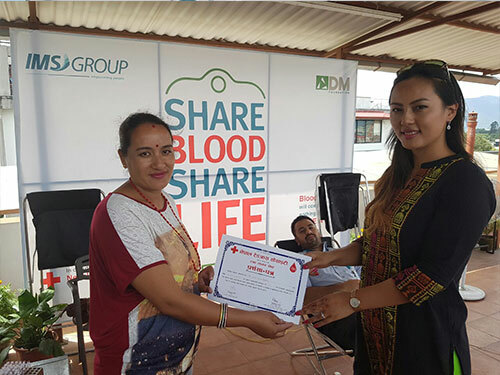 With the vision to “empower and enrich the lives of Nepali citizens”, IMS’s CSR activities gives back to the community that supports and loves IMS. We are proud to have supporters within the company and all over the world. 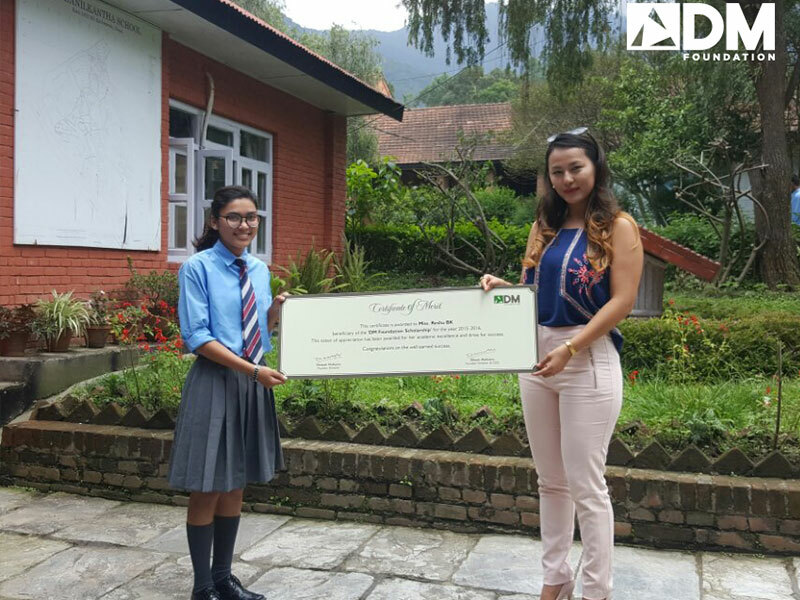 DM Foundation started giving academic scholarships called The DM Scholarship in 2014 to 2 students each at Budanilkantha School and St.Xaviers School, Kathmandu. The students are chosen on the basis of financial need and academic excellence. It was found that the trend in Nepal with financially unstable parents to ensure their children get up to SLC education, and then depending on their economic conditions, choose to either let children study further or let them drop out of school. We believe that no child with the potential to become an effective member of the society should miss the chance to continue studying. Our role in the lives of these students go beyond financial help, we offer internships and placements at the IMS office post 12th grade, to interested candidates and are also open to any kind of other help they need in projects or learning experiences. 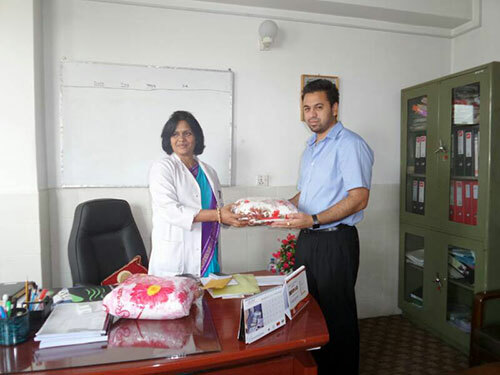 When we were approached by the Hospital with a requirement of blankets for women in labour, we met the management to make our donation to the hospital. We are happy to have contributed to the mothers at the hospital with all small effort. 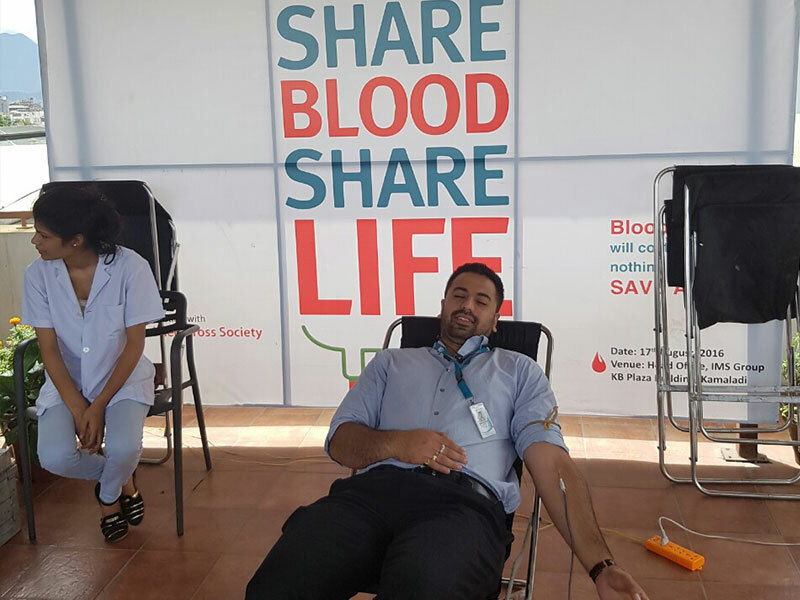 The earthquake that shook the nation in April 2015 saw a lot of volunteers within the company and outside who wanted to make a contribution. DM Foundation coordinated its efforts to supply the affected with basic food, shelter and hygiene materials. 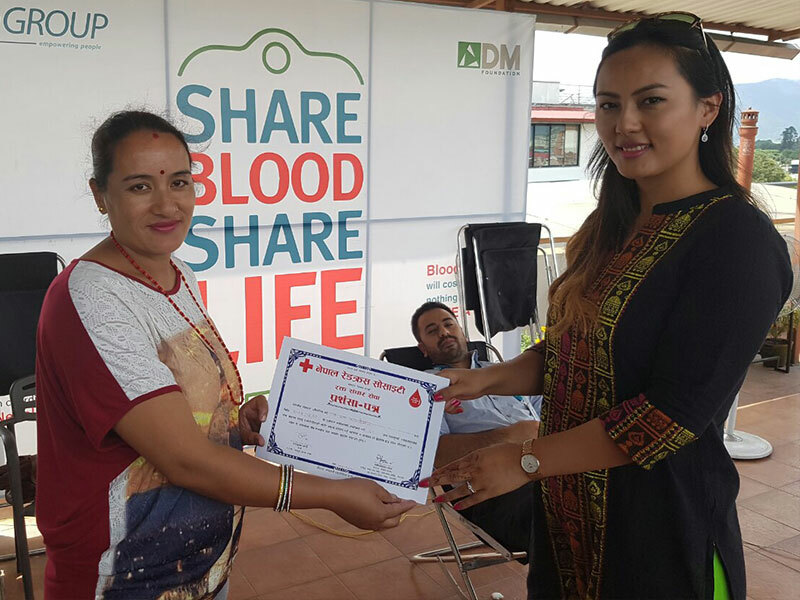 We visited the outskirts of Kathmandu valley, up to Bhaktapur and Sindhupalchowk with relief materials and contributed significantly to over 300 families. 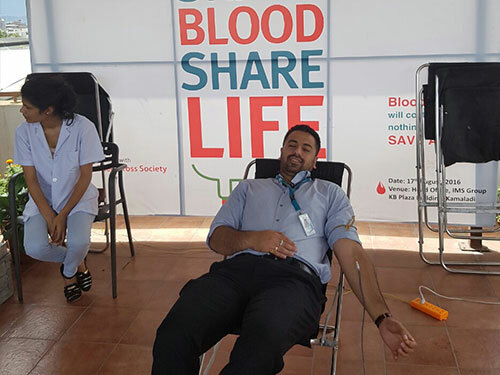 Despite the many blood donation programs held around the country, Blood Banks are still unable to cater to the demand of blood needed at hospitals. 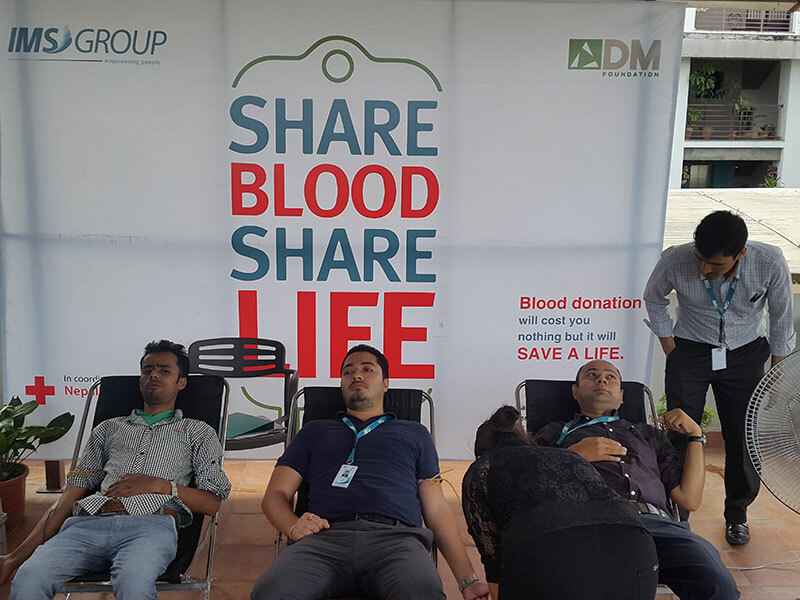 The employees at IMS head office were eager to share their blood to make a contribution to saving lives. We had 70 participants at the event held in the office terrace. At IMS, we find many reasons to celebrate! Our Chairman Mr. Deepak Malhotra’s grand birthday celebration was one of them for 2016! 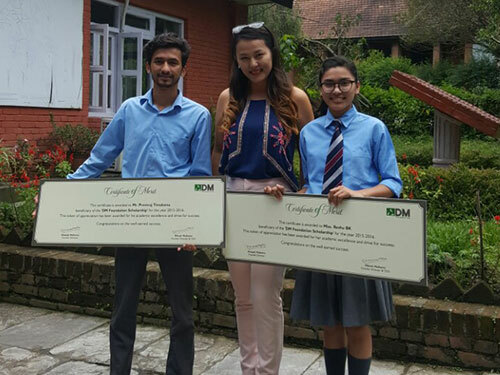 This year however, we made it extra special by raising funds for DM Foundation while we were having fun! The entire IMS team came together to organise a fete with games and each department raised funds with their interesting game choices! 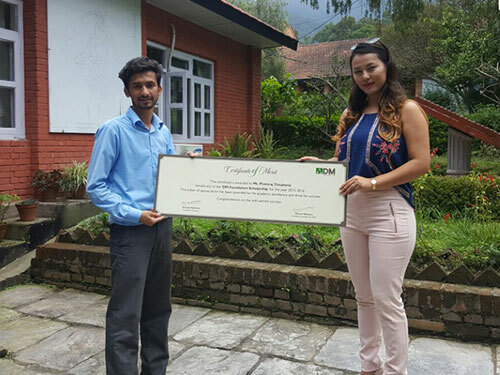 We thank all our supporters at IMS Group and beyond who have contributed in cash, time and efforts. We continue to seek your support in the future.